The small Italian model managed to begin with succces in Canada, where all the 500 units prepared by Fiat for the debut were ordered in about 12 hours. However, we talk about a special edition that was revealed at the Los Angeles Auto Show. 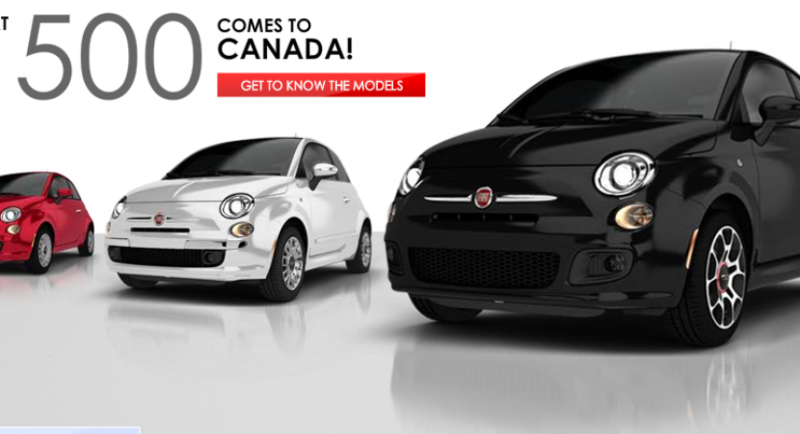 The model sold in Canada is called Fiat 500 Prima Edizione and just 500 units were manufactured since now, units that already were reserved by Canadian customers. The customers had to pay 500 dollars in advance for their model but this was not a problem for those who were waiting the Italian model to debut in their country. In the same time, this event marked the debut of the Italian brand in the North America market, the Italian brand being supervised by Chrysler. Fiat 500 Prima Edizione comes with a five-speed manual gearbox and the 1.4-liter engine under the bonnet while at the exterior Fiat prepared thee colors, white, grey and red. Chrysler stand at SEMA 2010 includes… a Fiat 500?